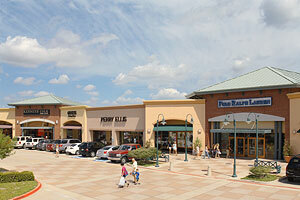 The Allen Premium Outlets in Allen Texas offers you an amazing way to enjoy your stay. The Allen Premium Outlets Package lets you shop through some of the top stores in the world, enjoy tremendous discounts on the best merchandise and even enjoy free gifts. Stores in the Allen Premium Outlets include the likes of Ralph Lauren, Gap, Neiman Marcus, Banana Republic, Calvin Klein and many, many more. Get your shopping fix and save tons of money with this excellent shopping package. When you take advantage of the Allen Premium Outlets Package, you will enjoy a number of free gifts, excellent coupons and be able to shop at your own pace, with no timetable but your own.